Located in the Heart of the East Atlanta Village, Motor City South is Locally Owned and Operated, serving all of Atlanta's Burroughs and beyond. Please note that we only service vehicles model year 1996 or newer. Motor City South believes that the best customer is an informed and educated customer. We always maintain open communication and transparency in our work. We will NOT execute a repair without generating a quote and getting your approval FIRST. We stand behind our work, warrantying all repairs. 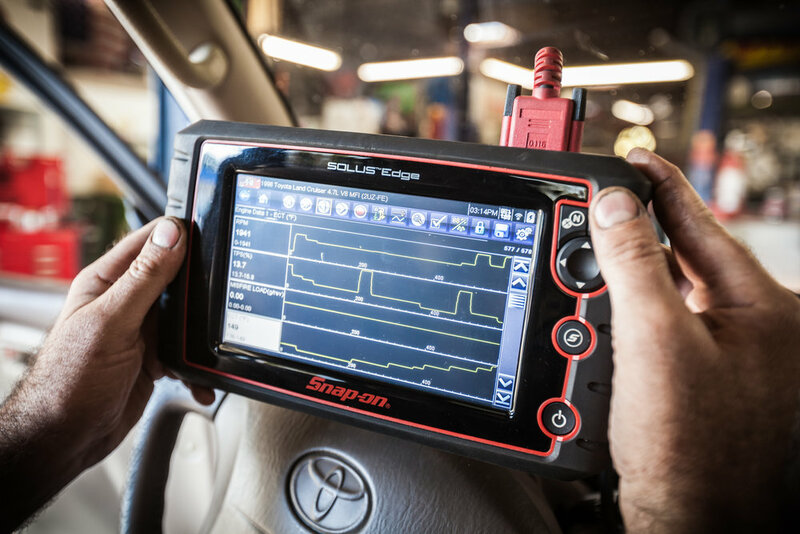 Whether the repair requires a wrench or an OBD-II diagnostic computer, we've got you covered. 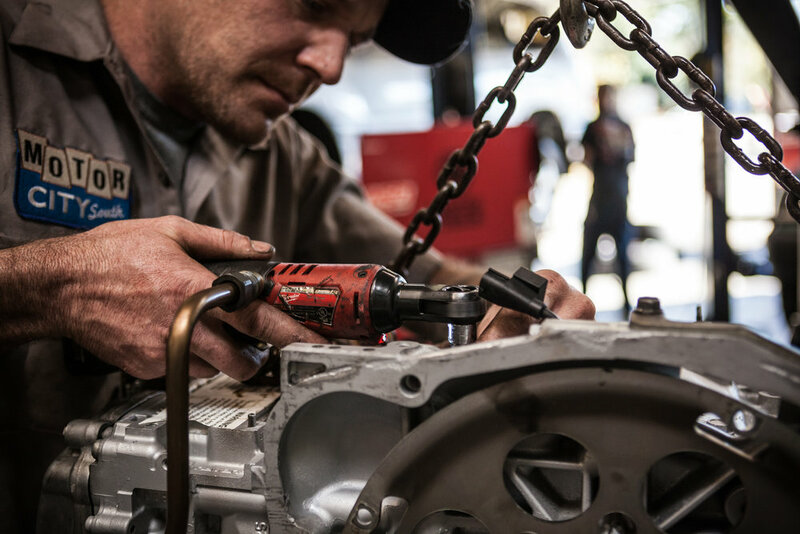 Our technicians have the latest and best tools and databases at their disposal to get your vehicle up and running again. Conveniently located in the heart of The East Atlanta Village, we're open Monday through Saturday 8am-5pm. We serve our customers on a first-come, first-served basis. Come on in for a repair or diagnosis today! Your modern vehicle is a computer on wheels. Motor City South has invested in the latest training, up to date software and scan tool technology to diagnose your Check Engine woes. Check Engine Codes can be tricky to decipher. Some codes are umbrella warnings which can be triggered by a wide variety of factors. We can view live data while your car is running or freeze frame data of the conditions that created the issue. Our technicians are equipped with wide-ranging databases providing the most likely repair and corresponding testing procedures to pinpoint the fault. We do everything we can to avoid throwing a new part on a car to see if it repairs the problem. Tires, Oil Changes, Brakes, A.C., Diagnostics, Tune Ups, Suspension, Alignments, Radiators, Thermostats, Heater Cores, Blower Motors, Fans, Batteries, Alternators, Starters, Timing Belts, Manual Transmission Clutch, Belts, Hoses, Struts, Shocks, Control Arms, Ball Joints, Tie Rods, Wheel Bearings, Certified Mig and Tig Welding, Cayalytic Converters, Mufflers, 02 Sensors, Power Steering Pumps, Rack and Pinion, Steering Column, Universal Joints, Drive Shaft, Rear End, Seals, Filters, Bulbs, Fuses, Relays, Resistors, Widow Regulators, Door Handles, Evap System, Misfires, Fuel Injection, Rich or Lean Issues, Fuel Tanks, Sending Units, Gauges, Tire Pressure Monitors, Tire Plugs, Tire Patches, Wheel Balancing, Custom Fabricating, Milling, Frame Modification, Bead Rolling, Engine Swaps, Narrowed Rear Ends, Tubs, Roll Cages, Disc Brake Conversions, HEI Conversions, Induction Service, Leak Detection, Intake Manifold, Exhaust Manifold, Headers, Carburetor, Emission Diagnostics and Repair, 2 Wheel, 4 Wheel, and All Wheel Drive. C'mon.